An update to Vol. 3, pp. 1155–1165. In 1999–2000 an area located east of the Byzantine town wall and the north tower at Oboda was excavated on behalf of the Israel Antiquities Authority. 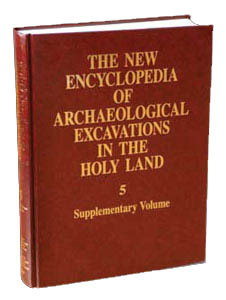 The excavation was directed by T. Erickson-Gini. It revealed a residential quarter with a series of dwellings covering an area of approximately 0.25 a. Three definitive architectural phases were revealed in the residential quarter. To the first phase belong three rooms of an early structure (rooms 24, 27–28, 44) located on the eastern edge of the area and dated to the first century CE, possibly a Nabatean caravansary or residential structure. Some of the stones used in this structure were very large and the building appears to have covered an area of at least 40 sq m, including a large central courtyard.